Below you will find the educational information presented during the IDEAL CME/CE activity at the U.S. Psychiatric and Mental Health Congress on November 18 - 21, 2010 in Orlando, FL. This material is provided for your information only. CME/CE credit was offered for participating during the live event only. 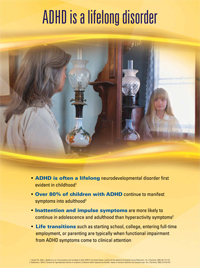 If an adult has ADHD, what is the chance that at least one child will have ADHD? 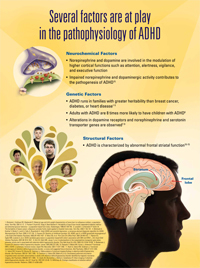 Which ADHD symptoms are most likely to cause functional impairment in adults? 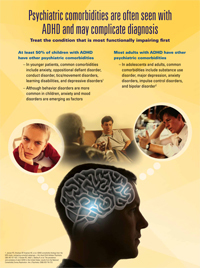 Which of the following needs to be evident to diagnose ADHD in an adult? 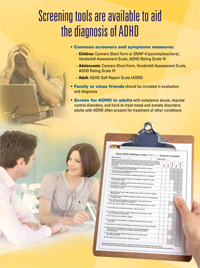 Which tool is the best tool for rapid screening for ADHD in an adult? 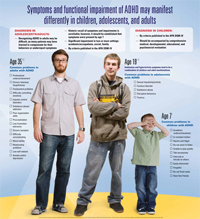 What is recommended if a psychiatric comorbidity is diagnosed with ADHD? 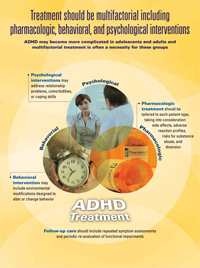 Which treatment plan is recommended for a college-aged patient with ADHD? The live certified CME/CE activity presented at Psych Congress was supported by an educational grant provided by Lilly USA, LLC.